Habitat Denton ReStore receives daily and weekly donations of many items. This includes large appliances, such as washers and dryers, ovens, stoves, microwaves, cook tops and vent hoods. 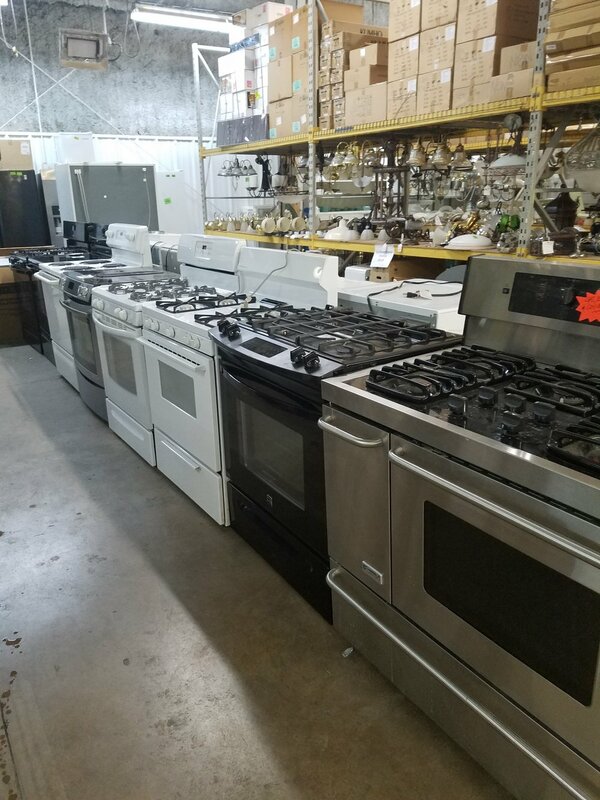 Our stock includes a variety of models perfect for any home. Additionally, the Denton ReStore has a huge selection of doors and windows, in addition to door hardware, to complete your home. We offer a wide selection with reasonable prices. Habitat Denton ReStore has a wide selection of flooring available. Our stock includes laminate and vinyl flooring, new carpet and rugs. Our hardware section includes materials you may need when installing bigger purchases into your home, or materials needed for minor remodeling, such as nails, screws, paint, etc. Lighting and ceiling fans are abundant at the Denton Restore! When working on any home redesign project, the Denton Restore is a one-stop-shop for hardware and fixtures alike. If your home improvement projects involve the outside of your home, you've got you covered. The Denton ReStore has many of the gardening tools you need for any project. All materials have been donated; therefore, they are gently used but sure to help finish any home improvement project.